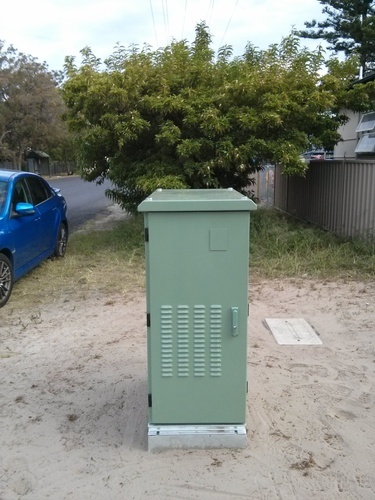 NBN: The First Node Arises - jxeeno blog. Well, what do you know? 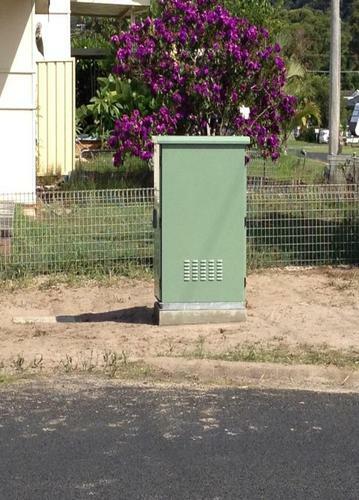 The first node in NBN Co's Fibre to the Node implementation trial has been installed in Umina Beach, near Woy Woy NSW. First spotted and photographed by Whirlpoolian dazed and confused (in this case, I would say he's wide awake). 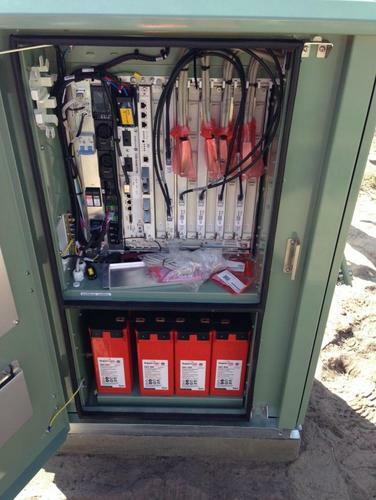 The trial site that NBN Co has decided to test is part of the WOYY:68 Telstra Distribution Area. 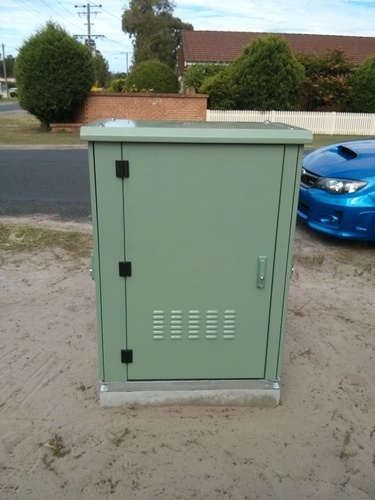 A distribution area is characterised as having a common Telstra pillar where copper from the exchange (or a RIM) gets aggregated near the area and then from there, the individual lines get fed to the end user premises. 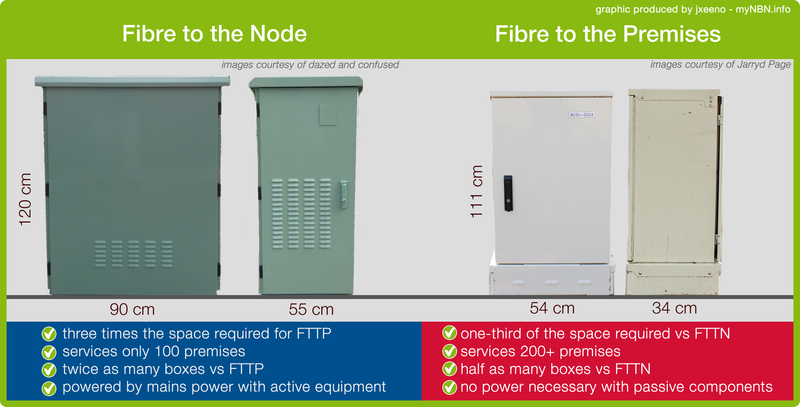 Dimension-wise, this node looks very similar to a size of the FTTP Fibre Distribution Hub… the only exception being that the capacity of these nodes are expected to be much lower than what an FDH services (around half in size). This means, more nodes than FDHs, even though it's a similar size. And these beasts will also be powered a mains power. 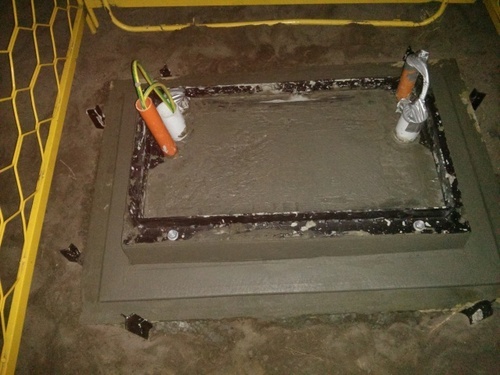 Updated (6:40PM, 12th March 2014): Dimensions are 1200mm x 900mm x 550mm. So, that's actually around 3x in volume compared with an FDH cabinet. Thanks again to dazed! 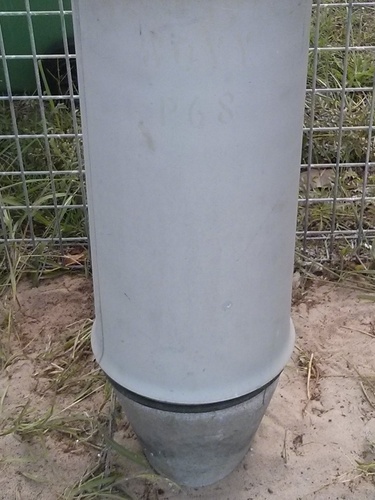 These node installations, like in this case, will be installed adjacent to Telstra pillars. 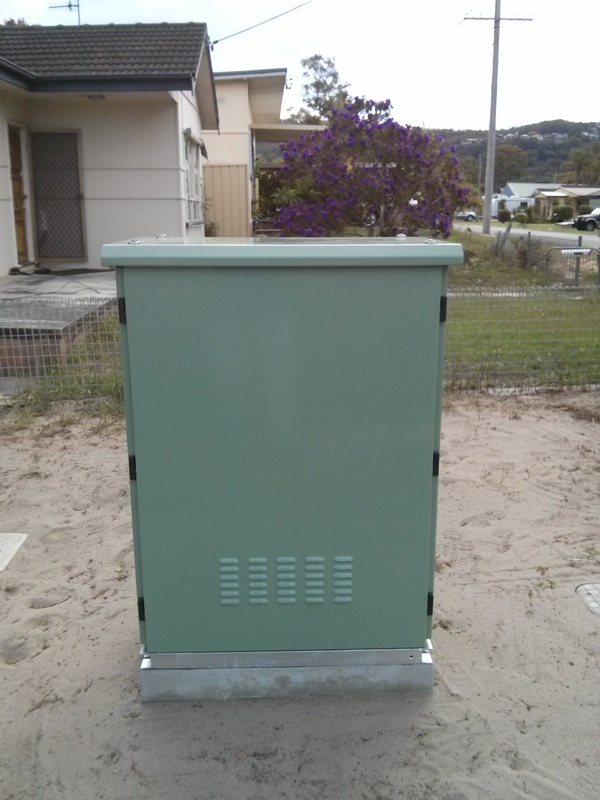 This pillar located in the corners of Priestman and Rabaul Avenues in Umina Beach. It will be interesting to see how the network performs, especially for the areas towards the edge of the Distribution Area that is around 900m from the pillar. But from what I gather, this is simply an implementation trial… it's not going to change the fact that the NBN is now going to be predominantly FTTN/dp/B and that the technology of fibre all the way to the home will yet again, be faded to the past (until 5 years later when they realise they do need FTTP). Photos courtesy of dazed and confused, Whirlpool. Maps produced by me.